We talk about keeping things simple all the time. We also talk about strength all the time. In this article, I drop a lot of names, hopefully drop some logic, and in the end, present a very simple template you can use to keep getting stronger for a long time. Its simple, you can layer things over top of it if you like, or use it as a bare bones strength program underneath your regular exercise regimen. So, to start off, I’d like to say that I like Mark Rippetoe’s Starting Strength and Bill Starr’s programs. I was “that girl” who brought my Starting Strength book to the gym with me and consulted it throughout my reps and sets, trying to glean some extra bit of wisdom as to how I could get stronger, faster. And I did for a while. But, then I ran into a wall on my squat. You need to have good form no matter how much weight is on the bar. The problem was that even when I tweaked the program to use lower weights for higher volume, I just couldn’t do 3-5 sets of 3-5 reps on my squat once I got past a certain weight. My knees caved in, my torso folded in half, and I was having knee pain. I figured I was just a weak person and always would be. This was because for over a year I was at a complete standstill. Now, I know a little about training loads and volume and I know that its not just the sets and reps that count, its the overall number of reps you do in a single training session that count as well. And so, I figured maybe 25 total reps wasn’t cutting it. So, I dropped the weight a little and started doing 5 sets of 8 to 10 reps, getting in 40-50 reps at lower percentages. This sort of worked for a while as well and I was able to bump up my top sets of 5. However, my 1RM was still mostly stalled and I couldn’t do rep work at percentages over 85-90%. 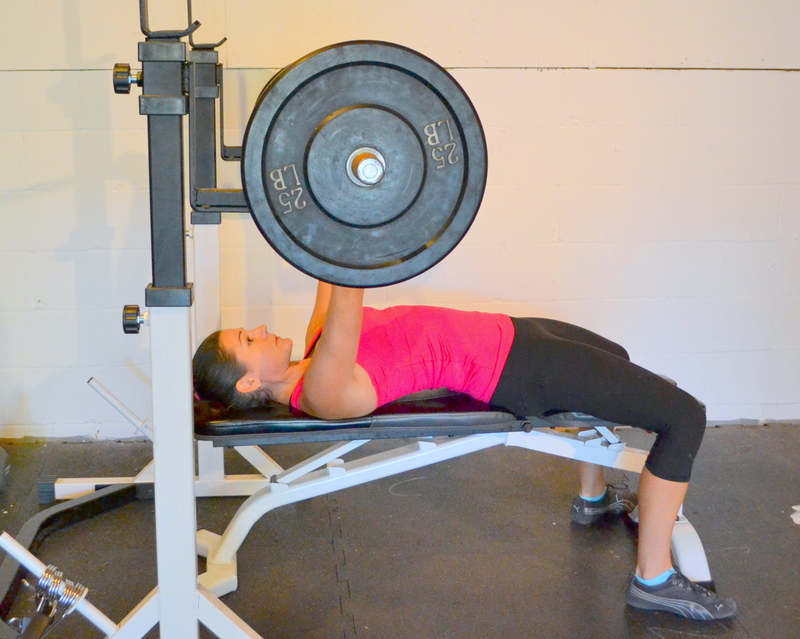 The bench press, when performed correctly, is a highly underrated exercise for contributing to full body strength. So, fast forward to me finally reaching out for some help on my training and finding out that the opposite approach, higher percentages for smaller sets, actually works much better. Dave “Let-the-Volume-Do-the-Work” Van Skike pointed me in the direction of Steven Shafley’s “Ladders” article in Dan John’s “Get Up” newsletter. (I am an expert name dropper.) “Ladders” are a specific set/rep scheme vastly open to interpretation, but in its essence, is a density program with a built in method of Autoregulation. I’ll simplify things by explaining it like this: In a squat workout, I would do 9 total sets of squats. The first set was 1 rep, the second set was 2 reps, the third set was 3 reps. I would repeat this pattern 2 more times. If at any point, I failed to make the second or third rep on the sets of 2 or 3, I would reset back to 1 rep. For example, my total workout might look like this: 1-2-3-1-2-3-1-2-3. However, if the weight was a bit heavy for me that day, it would look like this: 1-2-2-1-1-1-2-2-1. On a day where I hit all my sets and reps, I would know that next workout I was going up by 5 lbs. On a day where I did not, I kept the weight the same for the next workout. Sometimes, I would make all my sets and reps, but my reps were slow or “felt hard”. In this case, I’d keep the weight the same. I did this ladders program a few times with both a 1-2-3 format and a 2-4-6 format. It worked fantastic. The first time I did it, after six weeks of squatting 3 days a week, I was doing the ladders with my old 1RM. I’ve had several of my clients use this program as well as some of my athletes. They all got significantly stronger. Why did it work? Well, I can’t say for sure, but I believe that what I needed was to be able to get higher volumes of work in with heavier weight. The key here was that all these reps had to have perfect form. The fact that I could squat a weight I could only really lift for 1-3 reps, but do it multiple times tells me that I have a lot learning to do. Its not necessarily a strength problem, or a fatigue problem, it’s a practice problem. And getting in more practice at heavier weights made me a better squatter. 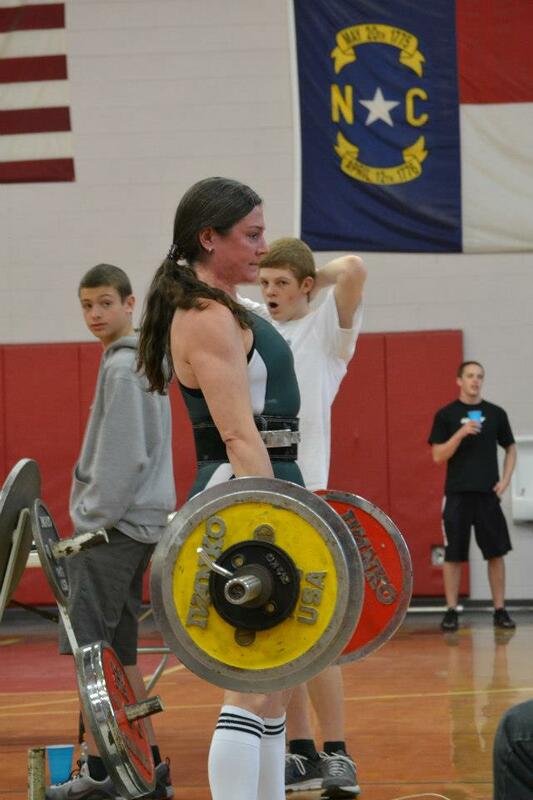 I used this density program for three months in preparation for a deadlift meet and a highland games. So, knowing this, I decided to take things one step further and try a density program. Charles Staley has written a great program, the Escalating Density program, that is geared largely towards gains in lean mass, but can also contribute to strength gains. The basic premise is increasing the amount of work you can do within a defined time frame, usually 20 minutes. Bryce Lane wrote an essay on a version of this format called 50/20 or the “Have Everything” plan. This plan basically targets one lift that you try to perform for 50 total reps in 20 minutes. If you hit 50 or more, weight goes up the next workout. If you don’t, you guessed it, weight stays the same. Although I have nothing against growing a bigger booty, I was more interested in strength gains so I decided to drop the reps down to 40 and therefore work at some higher percentage weights. Dave chimed in on this one and recommended I set a timer to go off on the minute and aim to do 2-3 reps each minute for 20 minutes. This density program was brutal the first few weeks, but I quickly got used to it. I used it for squat and bench, alternating workouts three days a week. And I made a lot more gains. The great part of this approach was that the strength work only took 20 minutes each workout which allowed me to add in some other elements and/or get some throwing practice in each day. I began adding in cleans at the beginning of my squat workouts and finishing up with some pullups and med ball work. I added some snatches to the beginning of my bench day and concluded with either some heavy deadlift work or some speed deadlifts. These workouts generally took an hour and left me feeling pretty good and not too sore. All of my lifts went up and I had plenty of energy to do other stuff like practice throwing, forcing my children to go on long walks in the woods with me (they respond to bribes and candy), and maintaining my crazy schedule. A good background strength program will help prevent injuries and enhance a large number of activities. I have put my Crossfit athletes, weightlifters, beginner trainees, and highland games throwers on this density program and even though we are all, in the grand scheme of things, beginners to intermediates strength-wise, we all got stronger, faster. And our recovery was better, and there were a lot of performance gains without the usual accompanying aches, pains, fatigue, etc. In conclusion, volume and density training is a really good way to practice that skill we call strength. And the more you practice that skill called strength, the better you get at it. Even better, the less stressful the training is to your body, the more room you have to do other things. So, I give you the “Get Stronger” program. You can use the density format described above, or you can use ladders. The main goal is to get in a lot of reps at higher weight percentages. So, form and speed should be consistent and near perfect. Don’t worry about the number on the bar for now, it will go up. There is only one drawback to the program, you may be crippled with soreness the first week or two, but that will go away. Alternate workouts A and B, 3-4 times per week. You don’t actually have to do anything other than the density strength work, especially if you do other sports or activities such as running or cycling. You may add in the other elements (Power, Accessory/Other Strength, and Conditioning) as you like and only use the ones you want/need. For example, you may only want to add power OR conditioning. Or you may want power AND accessory work. You may want all of it, but I’d advise sticking to three at the most. Add them in all at once or gradually over time. Make it unique to your needs. Conditioning Keep it short. 5-10 minutes tops. Use low-skill full body movements. Couplets or triplets work well. Think kettlebell swings, prowler pushes, sled drags, farmers walks, tire flips, sandbag cleans, jump rope, hill sprints, standing med ball work, etc. Are you a Trainer or an Exercise Supervisor? Good info!! You are definitely a talented name dropper lol. I like the simplicity of this program. I think there are tow issues that you address that ate super important here; perfect technique and volume over 90%. Typically the folks (beginners) who always max out have really crappy volume and end up hurt.This scares people away that NEED to lift heavier and this ruins it for those of us that emphasize heavy volume. I teach weight training at the University here in Fairbanks and the first thing people hear out of my mouth is we work to technical failure not movement failure and we lift heavy. Rippetoe’s program is 3×5 not 5×5. His theory is that this will allow for a longer progression.